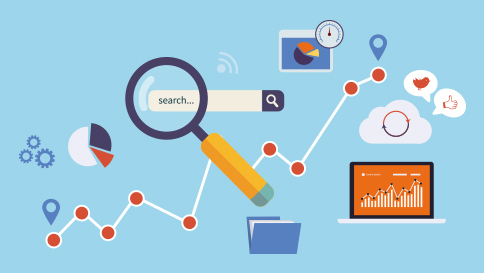 In this article we look at SEO trends in 2016. Search engine optimisation or SEO has changed dramatically over the years and has become a term that most people with a website understand or at least know roughly what it means, compared to a few years back when the mere mention of SEO would result in confused faces looking back at you. Your website’s SEO is important for visibility in the search engines, by adopting good SEO practices you will make your website and your content more visible in the search engines, which in turn will lead to an increase of traffic and increased awareness of your business. With what seems like constant Google algorithm changes it can be hard to keep up with the ever changing world of SEO. With the rise in new technology and the increase in the demand for one click information and rich media – what will the SEO trends be for 2016? Content from social media channels such as Twitter, Facebook and LinkedIn will begin to appear in search engine result pages (SERPs), which will see business owners and marketers pay more attention to optimising their social content for SEO in the same way they do for their websites. Videos are a great way to engage and excite your audience and have been growing in popularity over the last few years. We think that this is set to continue, with video content becoming more and more widespread. Using video on your website can improve the ranking of your page in the SERPS and according to Reelseo.com, video searches achieve 41% higher click through rates compared to static text results. Mobile optimisation is no longer a choice it is a necessity, with mobile traffic set to continue to overtake desktop traffic your website must be responsive. Ensure that mobile optimisation is part of your SEO strategy and be sure to include mobile search strategies. Google’s algorithm update last year meant that mobile friendly sites got a search ranking boost on mobile searches. We predict that 2016 will be the year that we start to see more voice search functionality on websites, similar to Cortana, Google Now and Siri. Voice search has grown as our use of mobile devices has grown, many of us opt to perform a voice search on our mobile devices as it can be quicker and more convenient – meaning there will be great SEO benefits for mobile searches.